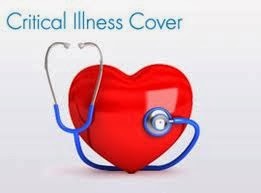 Critical illness cover and critical illness insurance is a form of protection that can provide you with a lump sum payment if you suffer from a covered critical illness and the survival period is satisfied. Most individuals mostly the young individuals know the importance of the Health Insurance Plan. Individuals may receive many benefits from the purchase of a critical illness insurance plan depending upon the certain conditions. Individuals must carefully examine the specific policy to know what it covered, in general most critical illness policies covers Heart Attacks, Bypass surgery, stroke, cancer and many more. Some policies also cover the loss of vision or hearing. Consumers should also determine what proof that the policy requires of the illness. Policy riders or we can say benefit riders are add-on insurance policies that cover health related services that are not typically covered by the health insurance plan. The best way to compare plans is to contact Composite Health Insurance Broker so that you can compare the offerings of the several companies. 1. How much will your insurance premium? 2. Can you choose doctors and hospitals of your choice? 3. Are your specific health conditions covered by your insurance plan? 4. What is claim settlement procedure? If you want to get the best-suited health insurance quotes, you can use comprehensive online insurance portals to get the best-rated health insurance plans. Such portal provides you the insurance plan details with the insurance premium from the top insurance providers in India under the one roof.